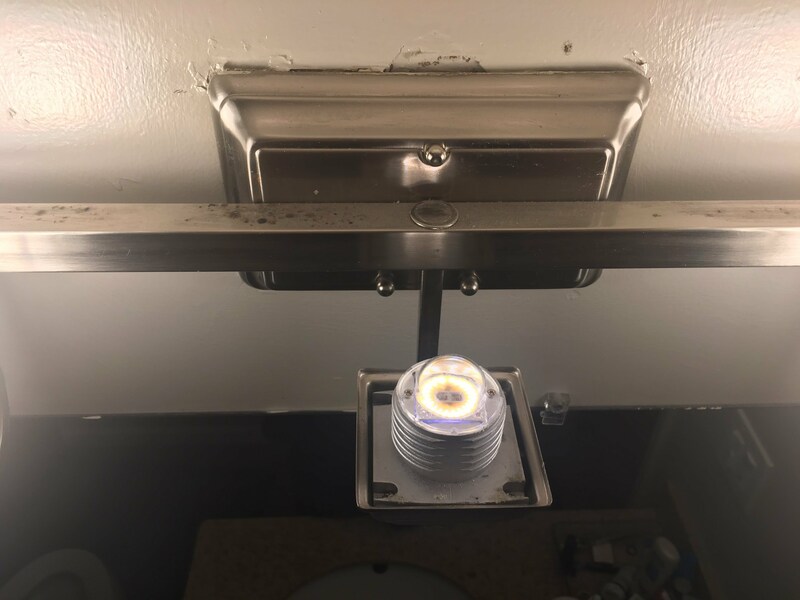 Can I replace the LED in this bathroom light fixture? I'm remodeling a bathroom and have a light fixture where one of the 3 lights is dimmer than the others. After taking off the glass -- I'm seeing the bulb pictured below. It looks like its secured by 2 screws on either side. Is this bulb REPLACEABLE or do I need to replace the entire light fixture? Does anyone recognize what TYPE of bulb that is? Can I use a CFL or LED bulb with a higher lumen output as long as I stay under the maximum wattage listed on the fixture? Why do my fluorescent lights flicker and require cycling the switch to turn on? what lightbulb can I use in this 250V 100W light fixture?